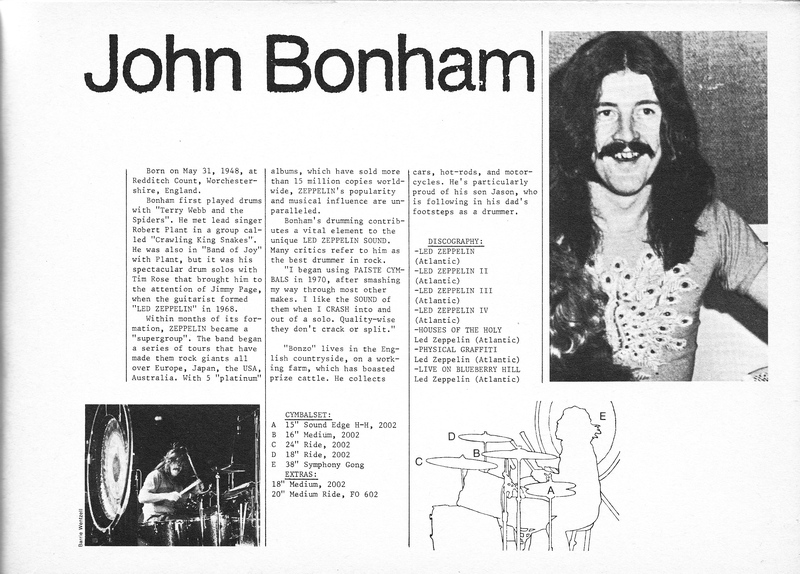 SKF NOTE: As long as I’m on a Bonham roll (no pun intended), here’s John Bonham‘s Profile from Paiste‘s 1975 Profiles of International Drummers, Percussionists, Musicians #2. This entry was posted in SKF Blog, Uncategorized and tagged John Bonham. Bookmark the permalink.